Stevie Wonder at the 2nd Annual Rock Music Awards. 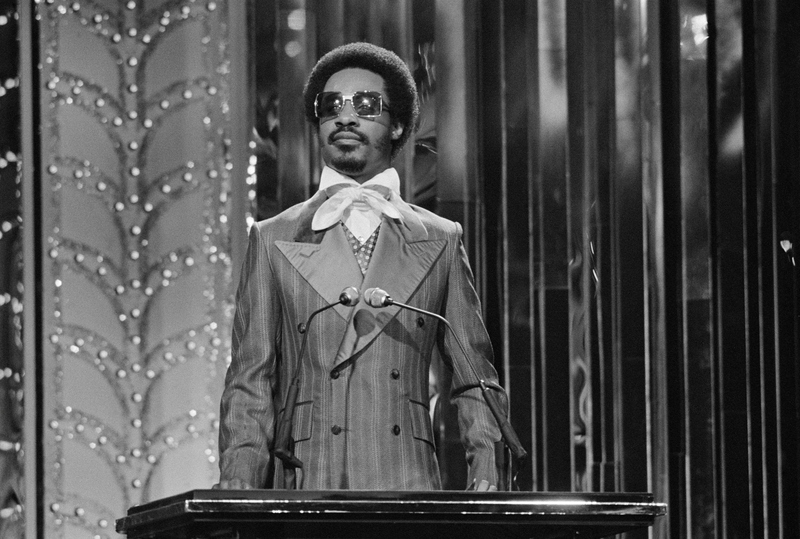 Stevie Wonder on the SECOND ANNUAL ROCK MUSIC AWARDS. Image dated September 18, 1976.